All your ideas relating to the best possible application of vacuum tubes, schematics, specific topologies, diagrams, modules, your ideas of specific audiophile related vacuum tube problems, and how to solve them – all this is kindly Welcome ! A must read for the beginners and medium advanced tube lovers. Very good presentation of various tube topologies and what they are used for. Mr. Andrea Ciuffolli is a true goldmine of TESTED DIY projects. Not just silicon, but also Vacuum Tube Amplifiers, Tube Pre-amplifiers, tubed buffer stages, and many more. It is not that he just designed them. He actually BUILT them and he knows that they work. Very detailed description regarding the implementation, execution of the projects provides you with an extra level of comfort, that you will not go astray and that you shall succeed. Turner Audio in Canberra Australia builds handcrafted tube amplifiers and loudspeakers and provides repairs or upgrades for most audio equipment. Now, this Mr. Turner … I simply LOVE this guy.He is a living Encyclopedia of Vacuum Tubes, and on how to use them. This is an easy-reading-for-starters, no nonsense, no-mathematical-extremes practical approach of “Hey ! I got a Tube. So let’s USE it !” In terms of the teaching methodology, Mr. Turner has my Highest Regard. www.hificollective.co.uk offers hi-fi DIY ‘ers the ultimate one stop website. Whether you build you own valve amps from scratch, dabble in speaker design, a component tweaker or a true beginner, you will find this as a great source of knowledge, components and resources. Its founder, Nick Lucas, has cut his teeth in the diy sector working for World Audio Design, running the kits division of Hi-Fi World Magazine for 10 years. Hi-Fi Collective Ltd started trading in May 2003 and has grown steadily ever since …offering customers a wide range of products and dispatch it immediately. They are a component on-line seller, stock a wide range of brands and are always on the lookout for new products that would be of interest to the DIY community. John Broskie – a yet BIGGER RESOURCE and living Vacuum Tube ENCYCLOPEDIA. This Gentleman has created a HUGE resource about tubes, transistors, practical circuits, pitfalls, recommendations, detailed analysis of various design options …. It will probably take a lifetime do dig through all the wisdom held on these precious pages …. And it will be definitely worth it. My Highest Recommendation. Frank’s Electron tube Pages – a huge resource – a listing of various types of valves and information sheets. Good source material, if you have a less popular tube and need to learn something about it. A little more advanced reading on tubes, especially in the context of guitar amps, but also in general. A good overall presentation of the theory, but put in the perspective of typical building blocks of amplifiers, or more generally, audio systems. A shining diamond here is the page about Transformers – building them, winding them, calculating them. Lots of stuff about tubes – but the most important thing is the PSU Designer download software – with which you can simulate the behavior of your High Voltage of Low Voltage CRC… or CLC…. filters ! Very handy tool indeed. These are the Pages of Mr. Leszek Ogonowski. A Polish producer of High Quality Tube Amplifier Transformers. The classical E-I transformer types, as well as chokes and other products. How do I know ? Because I personally purchased my first set of tube amplifier transformers and chokes, for my FIRST ever amplifier made (DIY), and I purchased them HERE, from Mr. Leszek Ogonowski. His products are handcrafted, with great pride, and are a legend in terms of quality, as well as value for money. I highly recommend this source, be it your „first” DIY experience with tubes, or even some more advanced, refined one. Be it the EL34, the B300 or even the mighty GM70 … Leszek will do it for you. Just state your case, name the basic application – Mr. Ogonowski will do all the rest for you. In my case, he even signaled, that my specs for the transformer were less than optimal, i.e. By changing a certain parameter a bit, I shall get a much better sound experience. And indeed. I DID. This is the first tube amplifier that I have ever made (see above). It is a clone of the Williamson amplifier, based on EL34 tubes. A nice starting point for the beginner DIY. All essential voltages are well documented. Getting it up and running was a breeze. A Russian page, but with an English language version. Catalog of Russian tubes – enclosed. A good read. Now this is something else altogether. You may or may not be aware, that the Russian folks have a very broad and deep understanding of tubes, as well as of DIY. This one is just for starters. A good site on tube amplifiers. Triodes and triode-mode power pentodes … It is a useful trick to triode-strap a pentode or a tetrode valve, certainly as far as the hobbyist is concerned. For starters, ‘true’ triode power valves are currently ridiculously expensive, with even the Russian 2A3s costing a good £15-£20 each. Bearing in mind that great-quality Russian EL34s only cost between £5-£10, there is clearly something wrong here. Or rather, the ‘triode mystique’ we seem to have at the moment is pushing prices up for the simple reason that people expect to pay more. …. history of High Fidelity over the decades. Western Electric – A Rosetta Stone for Triodes. Author for Positive Feedback, Glass Audio, and Vacuum Tube Valley magazines, with some of the best in the Soul of Sound library – or if you’d like to see his most recent writing, visit the ClariSonus Blog that John Atwood and the author wrote together. Have fun! By Lynn Olson, an inspiring description of how these beautiful tube amplifiers came to be. 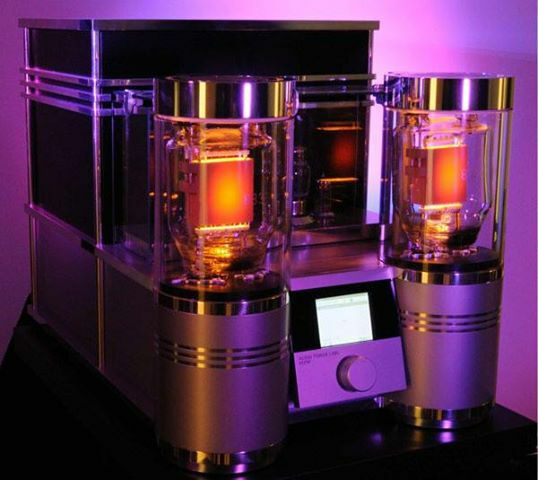 DH ( ‘ DIRECT HEATING’ ) is a society for audiophiles enjoying music through the Sakuma system, in search of quality musical sound through hand made vacuum tube amplifiers. Explore the Wonders of Direct Heated tubes. The Page includes information about Japanese audiophiles, and viewpoints and temptations of another world. This is a (Polish language) site of Mr. Slawicz. He presents a few of his DIY designs. All very interesting. A subpage of Mr. Slawicz. Here he presents a very nice design of a tube amplifier „Concertino”, a DIY, and one that performs very favorably. Worth considering. But more – even if you do not BUILD it, at least READ it. The description is written in such a way, that you can learn quite a lot from it. In The schematics Sakuma shows his concept in power amplifier design. He uses the same tube for driver and output …. A great place to buy good quality and inexpensive transformers, toroidal transformers and chokes for your tube amplifiers ! With a little of translate.google ….. I am sure it will be worth the effort. A very nice DIY site with some valuable projects, including the Alan Kimmel Mu-Stage implementation, under the tag name “Morpheus” – recommended reading. THE Klausmobile Russian Tube Directory – I love this one …A very valuable resource. Unfortunately the specs are in the Russian language. FRANK’s Electron tube Data Sheets !!!! FRANK’s „Equivalent” tube search database !!!! A very good introductory course about tubes, basic circuits, topologies, uses, example designs. Nice and easy reading for starters. Polish language version. Tom’s knowledge base relating to transformers – how to calculate them. How to design them. How to build them. Polish language version, but good stuff there. How to design vacuum tube power amplifiers … Polish language version. Tom’s knowledge base relating to biasing of the output tubes Polish language version, good stuff. Aikenamps explains what „Blocking Distortion” is. English. Aikenamps explains what „Star Grounding” is. English. Idle Current Biasing – Why 70 percent? About “Class A” amps .. When looking for the absolute, passed a certain point, it becomes difficult to find the products that fit your requirements. Because of the price, but also if you want or need something more specific. There is a solution, but certainly not the simplest: Do-It-Yourself … The BonaVolta site is a rich source of schematics, tube electronics, formulas, loudspeaker enclosure design guidelines, and more. In a push-pull amp, you need a phase splitter to produce the two identical but in phase opposition signals to drive the power tubes. Phase splitters are like religions, you belong to one or another and discussions between fans are often emotional. A site devoted to DIY and tweaking. Free online projects of amplifiers, loudspeakers, cables, accessories plus articles on easy upgrades for commercial components. A description of heterodyne / mixing tubes (Polish). A very good piece on the circular nature of a CIRCLE, implemented in the form of tubes. Circlotron, as it is called – is a very intriguing circuit topology that is a must read for the open minded. It is also a good starting point for designing output-transformer-less amplifiers. The Output Transformer is one of the most difficult to obtain / finance / make components of a tube amplifier. To such an extent even, that „first comes the transformer” and then … all the rest of the design, which is subordinate to the transformer … Mr. Jan Barczynski created this page with many a useful word on how to design and build your Tube Amplifier Output Transformer. Gary Pimm’s DIY page. Gary’s circuits and designs. The voltage regulator adaptation – based on the self bias CCS that John Swenson designed, plus additional functionality. This is a commercial site, but addressing the needs of the DIY community, with the following message: Yes, you can do it! The majority of Bottlehead offers ready to be assembled kits – for builders, be it experienced, or even first timers. Many go on and build their entire systems based on these kits. Boost your tube’s output power …. A Polish service relating to vacuum tubes and their practical uses. General Tube Related and Hifi Links. Tubes and Parts for Hi-Fi,Radio,Guitar,etc…Tube data & amp schematics on-line…links to Tube Amp info on the web. Electron Tubes, Tube Amplifier Parts, and DIY Tube Amp Kits. A commercial site, US-based, with some good texts on tubes, data specs, documentation, schematics. A nice source of various vacuum tubes. Cool Schematics. For educational purposes only. This Polish site is guitar-centric – it concentrates on tubes used in guitar amps and effects add-ons. But it is also valuable to the DIY audio fraternity – it gives numerous examples of topologies that should NOT be used in Hiend-Audio. Guitar amps work on different principles, to achieve different goals, … it is good to know „how” these different goals are achieved, so as to better understand the „tube” and the various ways it can be used. An example tube amplifier project, with 2x EL34 and 2x 6n8s per channel. Power: 2x 15Watts. The EL34 strapped in Triode Mode. Electra-Print schematics: an example 300B amplifier. Audiohobby.pl – an independent audio high-end discussion forum. Yet another very popular Polish DIY / tubes / electronics discussion forum, with lots of „projects”. This document also includes follow up correspondence from J. Ross MacDonald published in July 1955. One of a small group of DIY audiophile club members from Canada. Several interesting schematics to be found here. This site is a common virtual museum and a «most complete reference work for radios», not only a picture gallery or schematic source. Constantly updated. This is a very nice tube amp for starters, based upon the EL84′s and an ECC83 … There are also references which the relation between the stamped-on type-numbers and the etched production codes. An interesting page in Italian, by a fellow audio passionate audio lover. This is a very interesting, hands on, DIY site, by Mr. Jimmy Auw. Lots of interesting information on tubes, circuits, and more. An interesting Polish language blog on issues related to analog sound and analog reproduction systems. FAQ about VACUUM TUBES, triode vs. pentode & ultralinear, push-pull, etc. MUST READ ! Anthony Welsh Ltd. - A great source for hard to find HI END & power tubes & sockets, various capacitors, vacuum relays, various keys and paddles. Antique Tube Supply - Radio Tubes, Audio tubes for sale, Antique Tube Supply – Your center for Vacuum Tubes for all your old Radio Tube gear. Antique Vacuum Tubes – Electron Tubes – Dealer - Antique Vacuum Tubes, Buy, Sell, here you can shop for tubes. Old Radio Parts - Vintage and reproduction electronic parts specialist – Antique radio dials and knobs, 1940-1970 era phonograph cartridges, needles, idler wheels. Rock-Sea Enterprises - manufacturers of fine quality decals and dial scales for antique radio. The old radio fixer-upper guy - This site is dedicated to the repair, restoration, preservation and sale of old collectable radios, both bakelite and wood. Vacuum Tube Software - The VTDATA software package is a complete vacuum tube manual on your computer. It has all the information you’d expect in a tube manual. VTDATA’s database also includes vacuum tubes of historical interest, such as the early “two digit” types (45, 80, etc.) and hi-fi audio types. Valve Data Sheets - This web page has full data sheets for a number of commonly used valves. Most are Eimac and include the 2C39A, 3-500Z, 3-1000Z, 3CX1500A7, 3CPX5000A7, 3CX5000A7, YC156, 3CX15000B7, 4CX250B, 4CX250A, 4CX1000A, 4CX1500B, 4CX10000J etc. These are not avialable on Eimac’s web site in full – only brief notes. Webtubes AntiqueTubes - Collectible,antique, Radio Tubes, special purpose and audio electron tubes and literature. The PDF file also contains errata published in Wireless World, March 1957, p. 106. “Special Purpose Oscillators and Amplifiers TM-11-680″. Washington D.C.: Department of the Army, July 1952. (PDF, 7.8M, 130 pages). This document also includes follow up correspondence from D. F. Gibbs, T. S. Marshall, Thomas Roddam, P. A. Douvaletelis, P. Williams published in the 1962 November and December issues. Bates, R. H. “A Direct-Coupled Amplifier with Cathode Follower.” Radio & Television News, November, 1949, pp. 62-63 (PDF 2.0M). This document also includes some follow-up correspondence from D.J.R. Martin, J.K. Webb, and P.J. Baxandall regarding Joh Brighton’s critique of the original article, published in Wireless World, January 1955, p. 21. Also contains errata published in Wireless World, November 1952. Circular of the National Bureau of Standards, C408: Information for the Amateur Designer of Transformers for 25- to 60-Cycle Circuits. Washington D.C.: United States Government Printing Office, 1935. (PDF, 2.1M). The object of Brooks’ circular according to its introduction is “to assist the amateur in the design of small and medium-sized single-phase transformers for operation in the usual power frequencies. It is assumed that one transformer, or at most a few transformers are to be built, and that successful operation with good-efficiency and reasonable cost is the goal….” This is a response to Scroggie’s article (below) outlining the see-saw phase inverter. Chatterjee, A. K. and Fett, G. H.
November 1950, pp. 52-54. (PDF 2.5M). The circuit presented here uses a Kappler phase inverter. This circuit in this article appears to be identical to the Triad HF-10 Amplifer Kit. Besides an interesting preamp-phase-inverter design, this amplifier is notable as an early example that employs a three-way switchable pentode-ultralinear-triode mode power stage. This document includes correspondence from I. F. MacDiarmid published in June 1952.
, April 1946, p. 480. (PDF 40K). Rider, John F. and Seymour D. Uslan. See Carpenter’s article (above) regarding the origin of this circuit. Starr, A. T. and Hall, H. C.
“Regeneration in Multistage Audio- and Video-frequency Amplifiers” , Electronic and Radio Engineering. “Grid-Leak Bias” , Basic Radio, Vol. 3: Electron Tube Circuits. “Experiments 35-42, Section III: Experiments with Electronic Devices”, Alternating Currents and Electronics. Valley, George E. and Wallman, Henry, eds. New York: McGraw-Hill Book Company, Inc., 1948. These experiments are concerned primarily with measuring the static and dynamic characteristics of triodes. Please feel free to comment, or to suggest other valuable DIY modules, schematics, circuits.